We love chocolate at our house. Who doesn’t? 😉 I loved those crunchy chocolate bars as a kid, so I had to re-create another old favourite without the dairy and the guilt. Raw cacao powder. The least processed form of cacao, rich in antioxidants and magnesium. Make sure you buy fair trade chocolate though, as some companies use child labour to harvest cacao. Hemp seeds are a great source of omega-3s and a complete plant protein. Coconut oil provides healthy fats. Maple syrup naturally sweetens this recipe. 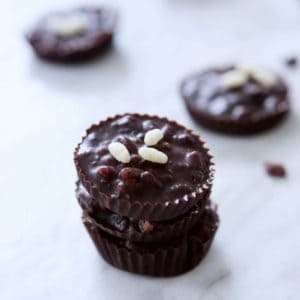 Crispy rice makes these crunchy chocolate cups. I used the Nature Path Organic Crispy Rice Cereal. I used a makeshift double broiler by adding a cup of water to a medium pot and placing a bowl on top. 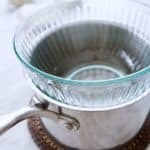 A stainless steel bowl or heat-safe glass bowl will work. Place the makeshift double broiler on the stove top set to medium heat. Add the coconut oil. Once the oil is melted, add the raw cacao powder. Stir thoroughly to get a chocolatey mixture. Add the maple syrup and mix well. Remove pot from heat. Add in the hemp seeds and crispy rice. Mix until thoroughly combined. Place unbleached baking cups in a muffin tin. I used a mini muffin tin. 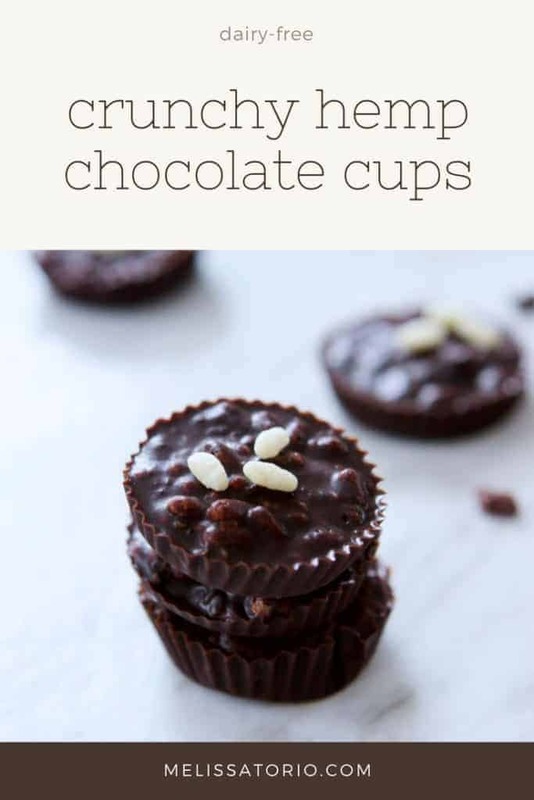 Distribute the chocolate mixture into the muffin cups. You can make the cups as thin or as thick as you’d like. I put about a teaspoon or so into each cup, and made 20 mini cups. Sprinkle some crispy rice or hemp seeds on top if you’d like. Place the muffin tin in the freezer for at least 30 minutes to let the chocolate harden. Keep in the freezer until ready to serve or this may melt. 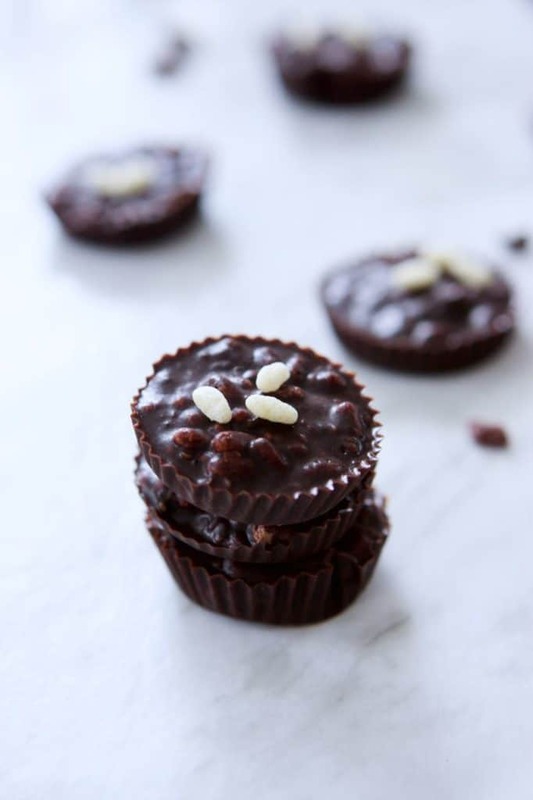 My kids and I just loved these Crunchy Hemp Chocolate Cups and ate them all in one sitting! I think I may need to double the recipe next time. Hahaha. Let me know how you liked this recipe, please leave a comment or rating below! 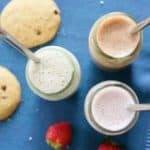 These dairy-free treats are so good and easy to make, you'll want to make them again and again! 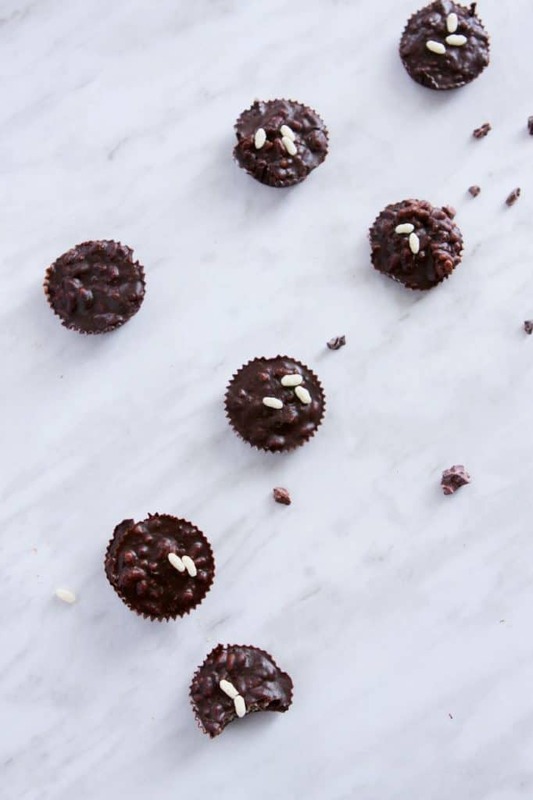 Place unbleached baking cups in a mini-muffin pan. Make your own double broiler by placing about 1 cup of water in a medium pot and setting a heat-safe bowl on top. 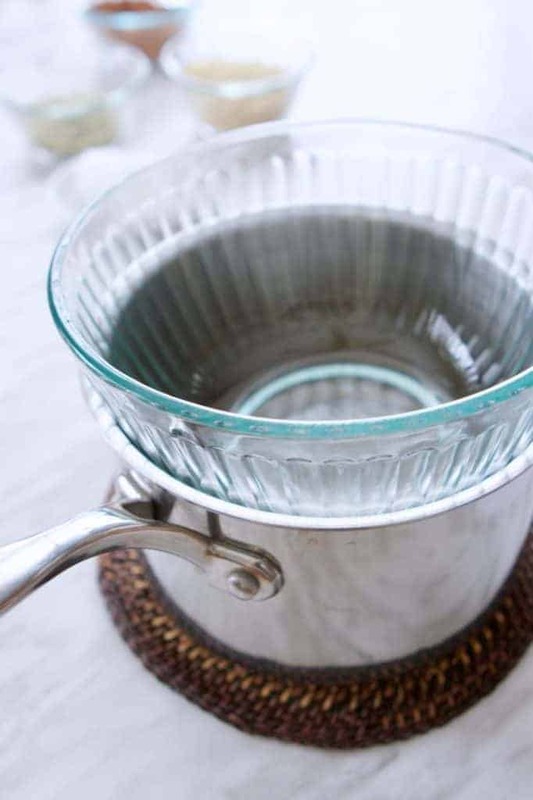 Use a stainless steel bowl or heat-safe glass bowl. Place double broiler on stove set to medium heat. Add the coconut oil to the bowl. 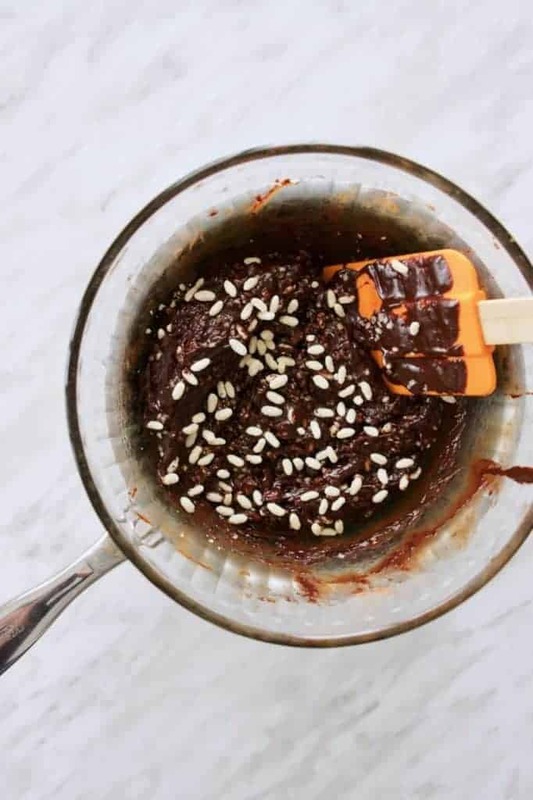 Once oil has melted, add the raw cacao powder and mix thoroughly. Add maple syrup and mix well. Remove pot from heat. 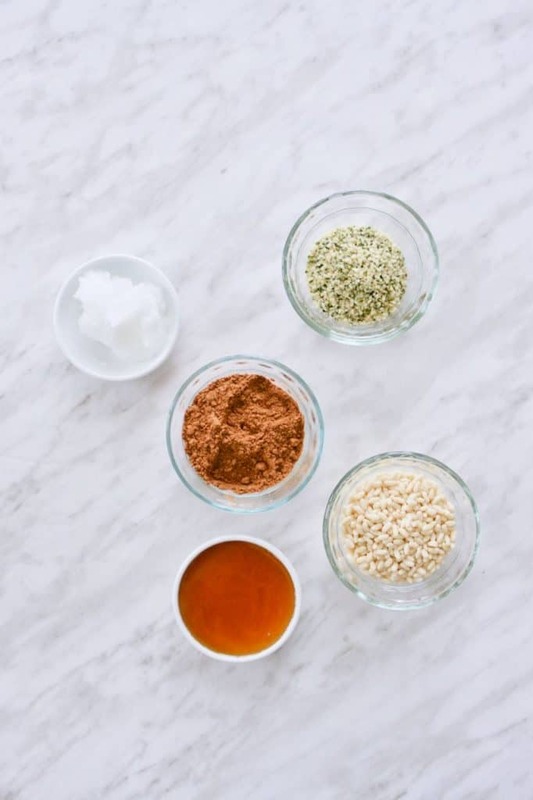 Stir in hemp seeds and crispy rice until thoroughly combined. 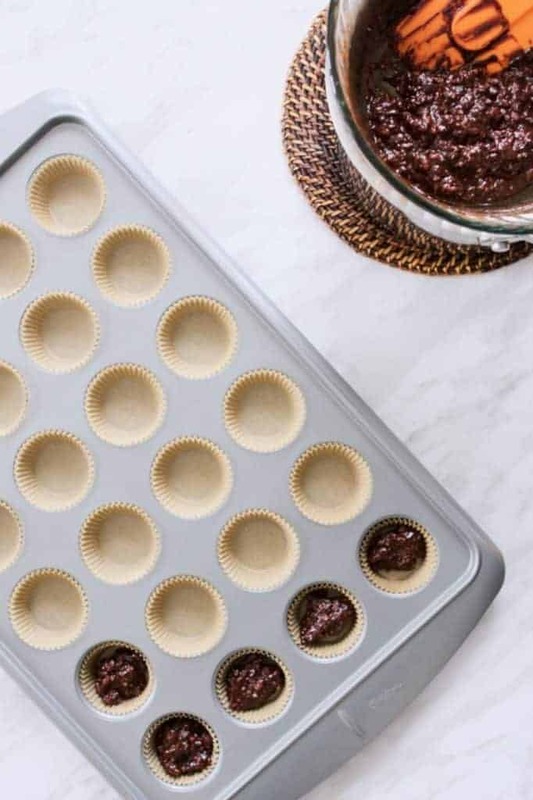 Distribute chocolate mixture into lined muffin pan. Sprinkle with hemp seeds or crispy rice if you prefer. Place muffin pan in the freezer for at least 30 minutes to let the chocolate harden. Once set, remove cups from muffin pan and keep in freezer until ready to serve. 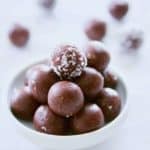 Store in freezer or chocolate cups will melt. 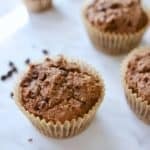 For larger cups, use a standard muffin pan.